Whenever U.S. history is discussed, it is only a matter of time until slavery is brought up. This is especially true when speaking about Southern history and culture, and also whenever people are talking about the American Civil War (or “War for Southern Independence,” as some people want it called). And this just makes sense. The institution of slavery is one of the biggest, perhaps the biggest, moral failing of the first one hundred years of the U.S.’s existence. And sometimes people will seek to defend the South (especially when the discussion is about the Confederacy.) In my experience, people don’t argue that slavery was okay, but rather that it wasn’t as and oppressive as people sometimes make it appear. Or they will argue that it wasn’t ideal, but that it was necessary for civilizing the Africans. If these people are Christians, they sometimes appeal to Bible passages to defend the institution of slavery. Now, I’ve always been troubled by this, primarily because the institution of slavery violates the bedrock of Christian ethics: “In everything do to others as you would have them do to you; for this is the law and the prophets” (Matt. 7:12). I am pretty certain that no Christian slave owner would have wanted himself and his entire family to be sold into chattel slavery. So it is hard to square their actions with this teaching of Jesus. But the response I hear most frequently is that slavery could not have been sinful because Paul would not have sent Onesimus (a slave) back to Philemon (a slaveowner). 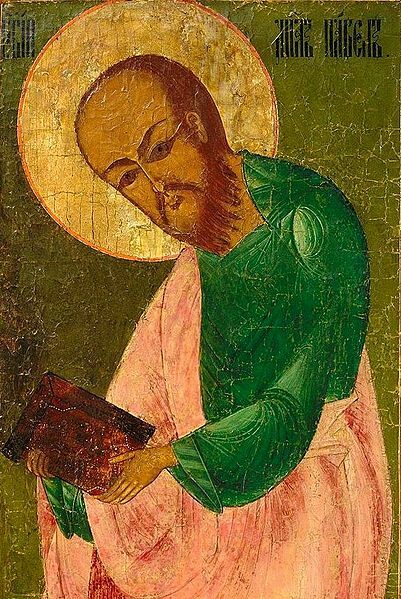 Paul, the thinking goes, would not send a Christian brother back into the awful situation of slavery. So does Paul’s letter to Philemon support the notion that Christians ought not object to slavery? Does it prove that slavery is not really that bad? There are three reasons that I think Philemon does not teach or imply that slavery is permissible or that it is not that bad. Paul might sound as if he is merely suggesting that Philemon takes Onesimus back as a brother rather than a slave, so that this is not to be taken as a Christian obligation. But I think that vv. 8-10 show that Paul could have ordered Philemon to do these things, but he is appealing on the basis of love out of preference. So, when Paul tells Philemon that he could take Onesimus back as a brother and not a slave, I don’t take this as a mere suggestion. I think Paul is pointing toward what Philemon should do as a Christian. And, before you say that Paul was just encouraging Philemon to treat his returned slave nicely without giving him his freedom, I just want to point out that that is not what the passage says. It doesn’t say treat him well. It doesn’t say be a good master or owner. It says that he could have him back no longer as a slave. 2. Paul tells Philemon that he could order him to do what he ought to do. This is similar to my last point, but my emphasis is different. My last point was that Paul encourages Philemon to take Onesimus back as a brother and not a slave. This point is different. Paul doesn’t just encourage Philemon to take Onesimus back as a brother rather than a slave, he says he could have ordered him to do so. This is significant, because it shows that Paul thinks that Christianity demands that Philemon free Onesimus. If Paul just wanted to suggest this action to Philemon, or if Paul was just expressing his opinion, he would not have said that he could have ordered it. That’s important, and it implies that owning slaves violates a command or duty of a Christian. You might wonder why Paul didn’t just go ahead and order Philemon to release Onesimus from slavery. If he could have commanded it, but didn’t, doesn’t that show that Paul really didn’t think it was wrong for Philemon to own Onesimus? But notice that Paul’s letter to Philemon doesn’t question the rightness of the freeing of Onesimus, but rather it shows that there is a choice concerning how we motivate people to make the right decision. Paul says in verse 9 that he could order Philemon to do what he wanted him to do, but he was going to appeal on the basis of love. In other words, Paul is not questioning what Philemon should do (free Onesimus or not), but rather how he should motivate Philemon to take the appropriate action. To protect Philemon’s reputation (and, perhaps given the honor/shame dynamics of such a culture, to safeguard his honor), Paul decides not to motivate Philemon through commandments but through love. 3. Paul says that he was appealing to Philemon on the basis of love. Paul could have commanded Philemon to accept Onesimus back as a brother and no longer a slave. Paul is forthright with this. But Paul doesn’t command Philemon to do that. Instead, Paul appeals to Philemon on the basis of love. In other words, Paul thinks it is the loving thing to do. Christianity’s ethics of love should point Philemon toward receiving Onesimus as a brother rather than a slave. If Philemon allowed the Spirit to transform his character into the loving character that the Spirit produces in us, then he would see that he should no longer have Philemon as a slave. And this just makes sense. None of us believes that enslaving someone is the loving thing to do. And, given Jesus’s command to love others as you love yourself, I think we can all agree that we want to be set free from slavery. It is usually the case with these types of Biblical studies that someone can still disagree with you. Most interesting theological questions do not have airtight arguments that leave no room for disagreement. And this issue is no different. Someone can point to the passage in Ephesians where Paul instructs slaves and the slave masters about how to treat one another and argue that Paul doesn’t even hint at the emancipation of the slaves. Or they can say that Paul’s letter to Philemon doesn’t clearly teach that he should emancipate Onesimus. Paul only means that Philemon should treat his newly returned slave as a brother; not that he should free him. Regardless, I think the weight of the evidence is against this reading. I think we have in Philemon an instance of Paul applying the teachings of Christ to first-century slavery and arguing that the slaves should be freed. It’s shameful that it took centuries for the church to follow Paul’s teaching on this subject.